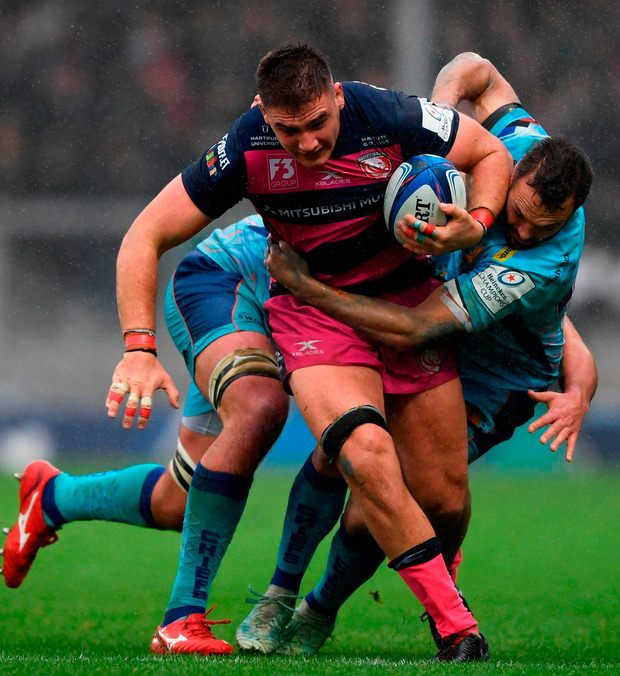 Premiership Rugby has agreed a deal with private equity firm CVC Capital Partners to sell a minority shareholding. It is understood that the domestic competition is parting with a 27 per cent stake for a sum that has yet to be made public with the investment to be completed in the first quarter of next year. CVC, which had previous involvement in Moto GP and Formula One, initially sought a majority shareholding but that was rejected by he umbrella organisation for the Gallagher Premiership. The clubs voted unanimously to accept the new deal, however, with the funds raised earmarked for developing facilities and stadiums and expanding the competition into new markets rather than paying increasing players' wages. "We're happy that CVC's track record speaks for itself," Premiership Rugby chief executive Mark McCafferty said. "They were in MotoGP for eight years and only came out of that because of the requirements for moving into Formula One. They were in Formula One for the best part of 10 years. "They are expecting to be in this for the long term and they understand what's required to invest and build. "I expect Premiership Rugby in seven or eight years' time to be an even more globally followed business. That expansion needs support. "The clubs see this as a way to accelerate growth and bring new fans into the game and opening up audiences. "We will be able to invest at a greater level and build the competition out further. "There's stadium development at Bath, Saracens and Harlequins already on the board and this will help with those. "We have a salary cap in place and that's not moving for the next couple of years. We are investing in operations and infrastructure, that's the key."